The design of this compass rose came from a map made in 1662 of the Pacific Ocean. Many old maps display several small compass rose designs, such as this one, in several spots to help mariners gain their bearing as they move from one location on the map to another. Many old maps display several small compass rose designs, such as this one, in several spots to help mariners gain their bearing as they move from one location on the map to another. This geocoin continues our tradition commemorating compass roses from the past. It also continues our micro traveler series. We made it big enough to be noticeable, but small enough to fit in 35mm containers. With its bright coloring it can easily be seen attached to a traveling item or when traveling alone. 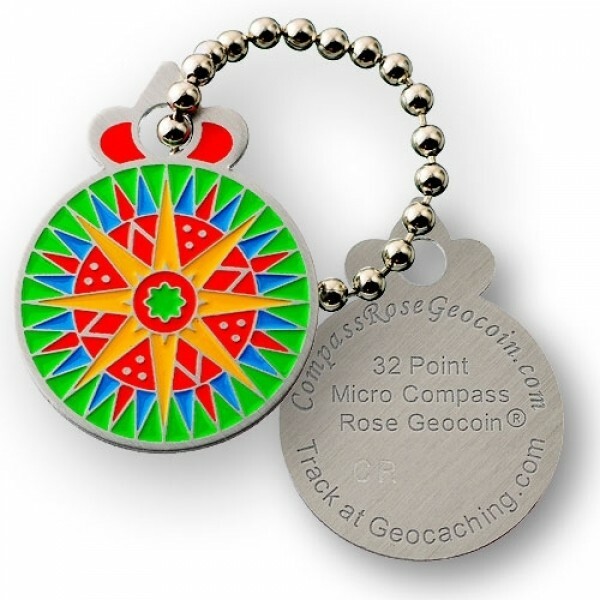 Visit CompassRoseGeocoin.com to learn more about our navigation series of geocoins and compass roses.